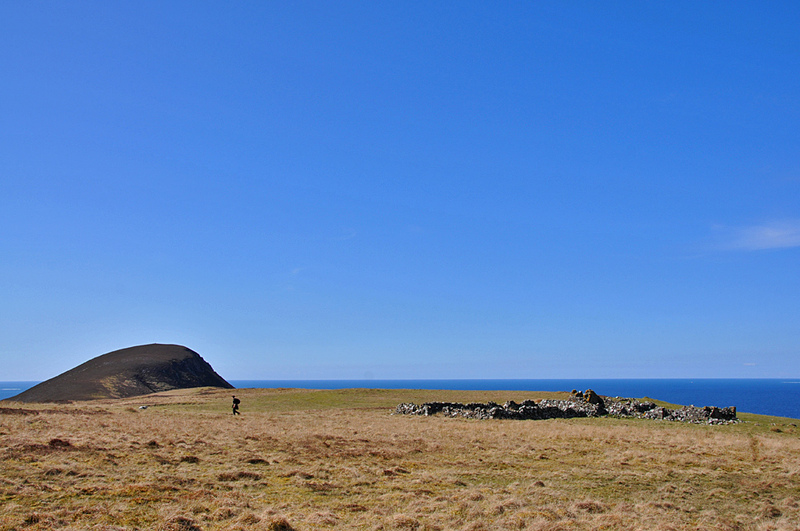 Taken on a beautiful sunny April day, a view from the abandoned settlement of Bolsa in the north of Islay. Mala Bholsa (127m) on the left. This entry was posted in Landscape, Repost, Sunny Weather and tagged Bolsa, Islay, Mala Bholsa by Armin Grewe. Bookmark the permalink. Lovely blue sky unlike this evening. Somethin to look forward tooo ! !